Hello sweeties! By now, most of you should have known that yours truly has a kind of mask-sheets obsession. Yup, working from home allowed me to pamper my skin more, hence I always apply mask sheets every 2 or 3 days. 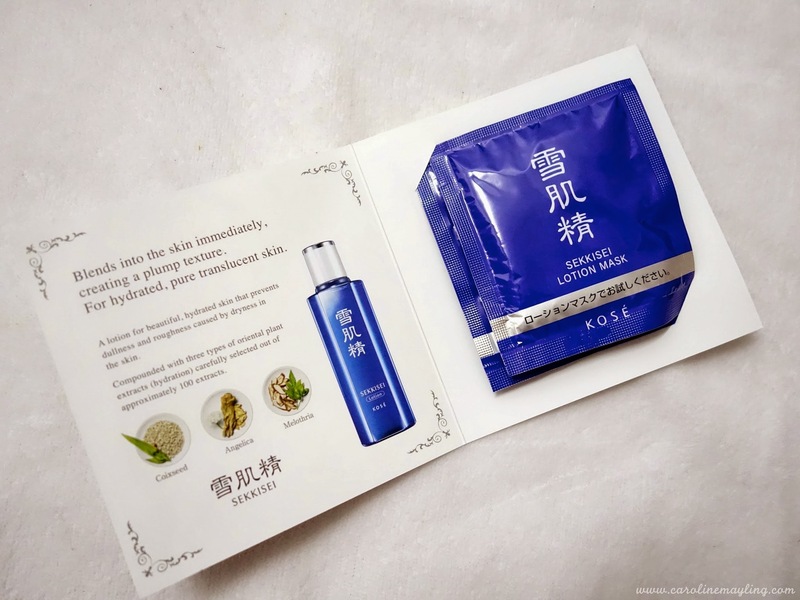 For the past one week, I've been trying out the new SEKKISEI Lotion Mask by Kosé which claimed as the best whitening product as it gives the instant whitening effect. The KOSÉ SEKKISEI Lotion Mask has deep translucency with the power of oriental plant extracts, even for dull skin. A lotion that creates fine-textured, hydrated "snow-white" skin. It balances out the skin's moisture levels, preventing dullness, roughness, pimples caused by dryness, as well as redness caused by sunburn from sunlight, or by the sun's reflection in snowy areas. The cloudy white lotion blends instantly into the skin, just like melting snow, creating fine-textured, plump skin. With a refreshing, light sensation, the lotion leaves the surface of the skin feeling silky smooth, yet hydrated. It can be used on your face, neck, body and mask. 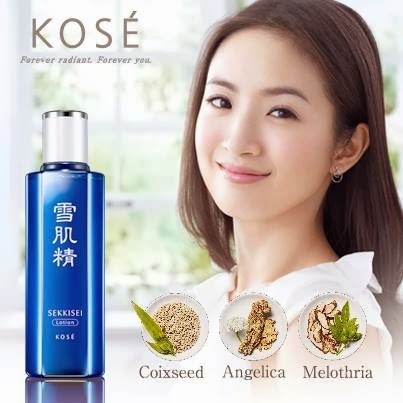 Coix Seed Extract effects such as increased metabolism, whitening, moisturization and prevention of skin roughness. Angelica Extract has disinfectant, whitening and moisturizing effects. Military (White Lotus) Extract suppresses melanin production has whitening effects on the skin. Pour SEKKISEI Lotion into cap until it reaches the line. Put the mask into the cap. Allow mask to absorb lotion till it puffs up. Unfold the mask and place onto clean face for 5-10mins. Remove Mas, tap the excess into the skin until it is absorbed, no rinsing is necessary. Voila! Skin is now fair, radiant and translucent like SNOW. What are the 3 main ingredients used in KOSÉ SEKKISEI Lotion Mask? 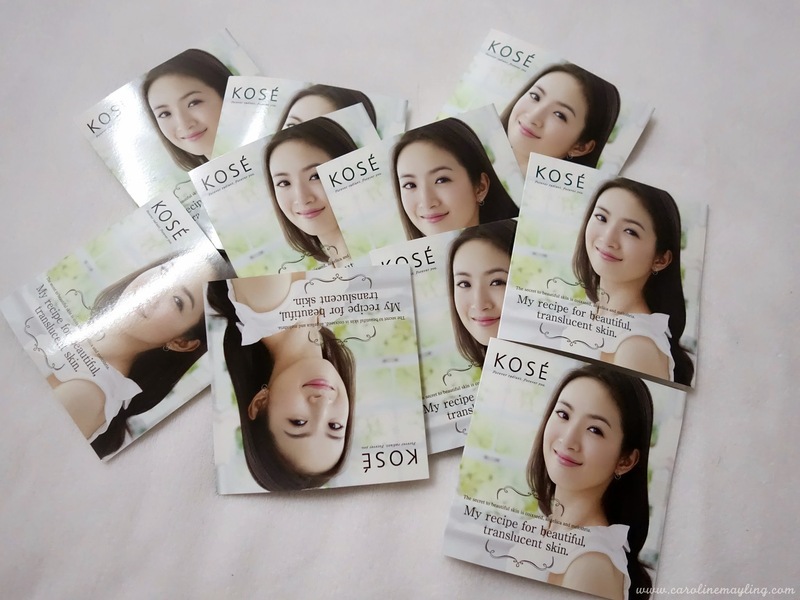 Do follow KOSÉ Malaysia here: www.facebook.com/kose.malaysia and check out the KOSÉ Cinderella contest here (https://www.facebook.com/kose.malaysia/app_1401868320074813)how you can turn into Ms Cinderella and win yourself RM15,000 cash, one year supply of SEKKISEI products, a trip to Japan (2015) for SEKKISEI's 30th anniversary birthday party and be the cover girl for magazine!